so you can then focus on being great at your job and becoming a highly valued employee. 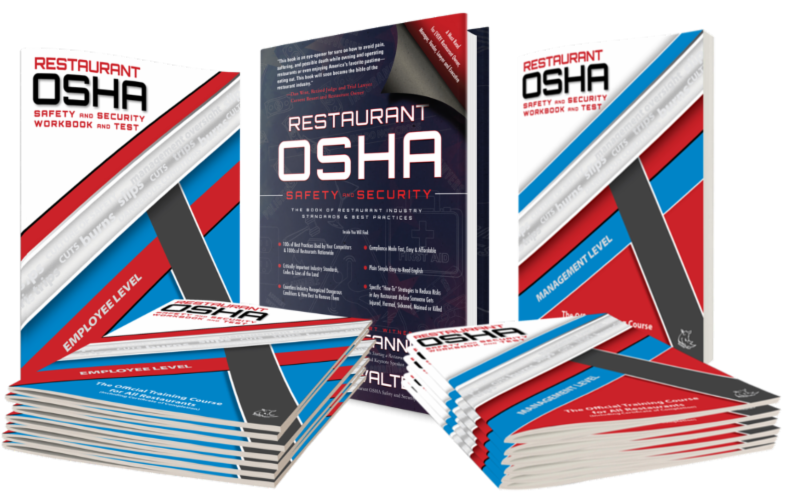 OSHA compliance for restaurant industry employees of every kind (including but not limited to, cooks, wait-staff, bussers, hosts, bartenders, and chefs) – whether they work part-time, full-time, or any time – is the law. OSHA training and testing is the best way to meet those compliance standards. If something bad happens where a customer, employee, or vendor gets injured, harmed, sickened, maimed, or killed in a restaurant, the managers AND THE EMPLOYEES will be thoroughly questioned by the lawyers and insurance companies; and, employers and employees at every level will have to answer for their actions (or lack thereof). Each could be held responsible for the level of training and competency that they have [or don’t have] pertaining to OSHA, safety, health, and security in the subject restaurant. This course is designed to give hourly employees in any kind of restaurant the training, testing, awareness, and confidence they need to be in compliance and be able to recognize and resolve dangerous conditions and support the management team in creating and maintaining a culture of safety for the people, the premises, and the assets of any restaurant anywhere in the United States. This course will provide the students (restaurant employees) with the basic tools and understanding they need to get the restaurant up to standard, and get them on the path to doing their job and side-duties with a top-of-mind level of awareness for safety and security for all. Make no mistake about it, this course is the most comprehensive and convenient restaurant safety and security training on the planet for hourly restaurant employees; and, because we feel that employee and customer safety in every restaurant is so critically important, we made it super inexpensive, too – so as to remove all cost-based excuses or barriers and allow every restaurant owner, manager, or executive to be able to get his or her employees – and every restaurant industry employee in the country – trained and tested. Completion of this course gives the student the training and testing they must have. By providing you with this training opportunity, your restaurant employer and management team have made a commitment to the health, safety, and security of their employees and customers – that includes YOU! Regardless of the size of a restaurant business, it is imperative that each and every employee (from the top-tier executive, manager, or multi-unit manager, to the front line waiter, cook, bartender, or bus person) realizes the importance of safety, health, and security all throughout the premises. This is essential in establishing a safe, healthful, and secure environment for the benefit of everyone. Successful completion of this training will not only make you a more valuable asset to your employer, it will also equip you with critical safety, health, and security knowledge to enable you to more effectively participate in creating and maintaining a culture of safety in your workplace. Yes, Even You Can Be Held Responsible! – So, attentive engagement in this training is critical. A great many – if not all – of the incidents leading to injury or illness in restaurants across America and in your part of the country are avoidable. 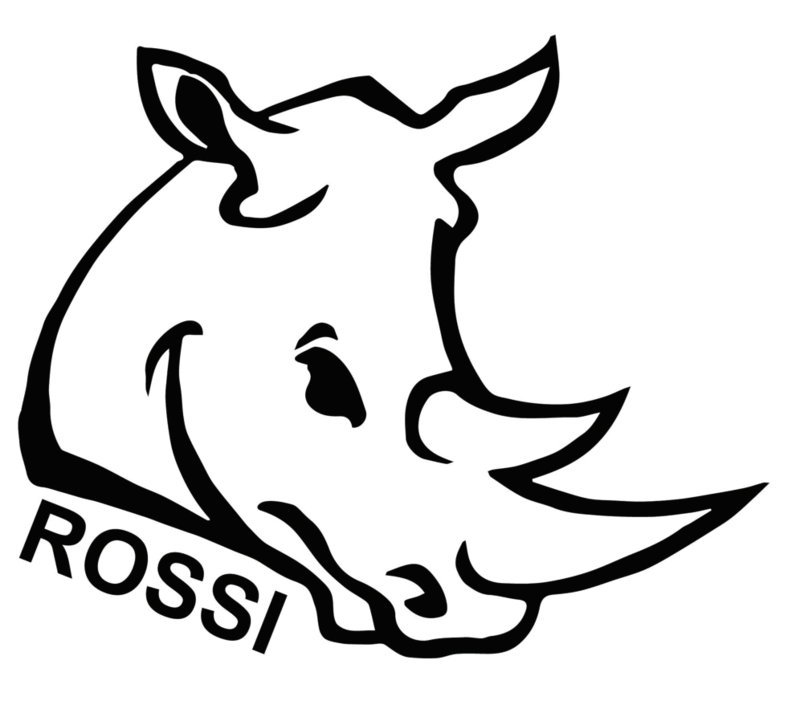 In creating and maintaining a strong culture of safety, restaurant owners, managers, and employees at every level in every size and type of restaurant make preventative safety policies and procedures a priority - ROSSI training will show you how to do just that! Employee-Level certifications should be renewed every two years.